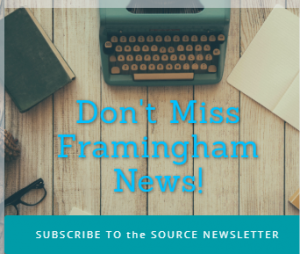 BOSTON – The Framingham High girls indoor track team defended its Division 1 state championship dash relay title this afternoon, January 22, at the Reggie Lewis Center in Boston said track coach Chris Collins. 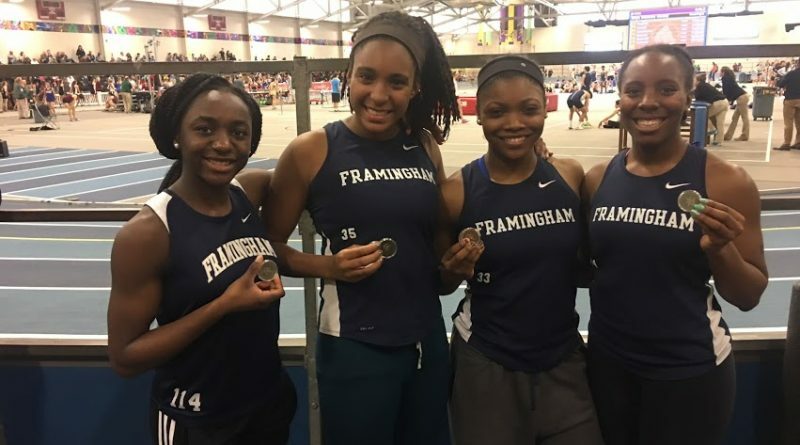 The girls won the 4 by 50-yard dash relay in 24.40 seconds, breaking the Massachusetts State Track Coaches Association (MSTCA) record. On the state championship relay were sophomore Leche Small-Brown, sophomore Grace Poku, senior captain Ashley Wilson, and junior captain Zoie Carter. The Flyers beat the record held by the Tigers of Newton North of 24.52 set in 2012. This is a huge win for girls indoor track team and its new head coach Matt Gardner. 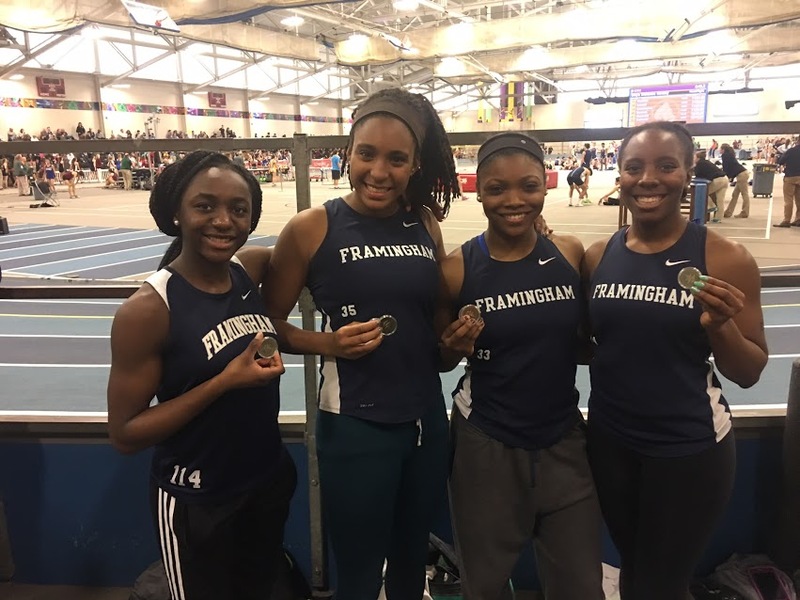 The Flyers also placed third in the 4 by 200 relay at the MSTCA meet Sunday. On that relay was Leche-Brown, senior Jenny Ribeiro, Wilson, and Carter. Their time qualified the runners for the state meet.